It may be French toast to some, but this popular breakfast dish probably didn't originate in France. It's likely much older, with descriptions of milky, fried bread going back as far as the Romans. The origin of its name is a murkier affair, with some suggesting North Americans use the moniker French toast after Joseph French, a New York innkeeper from the 1800s who served the dish and forgot the possessive 's on the sign. Other English names have included, Spanish Toast, German Toast, or simply Eggy Bread. 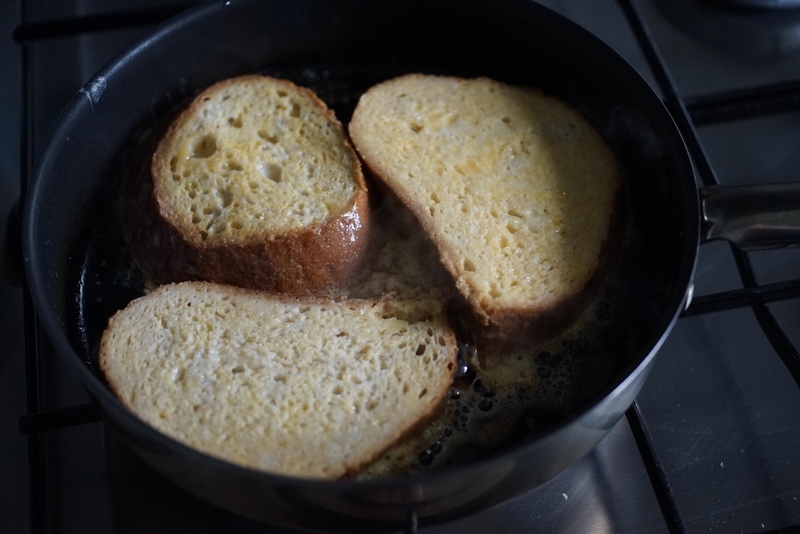 In France, it's called Pain Perdu, or 'lost bread', which for me is the best name. In our house there is a constant struggle with stale (lost) bread. Any re-purposing that leads to a dish I can slather with my most favourite Canadian food product, maple syrup, is welcome. Win-win. Growing up, my mum had a monopoly on the best French toast. It was often requested at sleepover parties and plates were licked clean. She used slices of stale baguette that were dipped in milk and egg, fried, then doused in cinnamon and sugar. No syrup or other toppings required. Imagine my horror at the French toast of Girl Guide camp, made with spongy white toast bread and drowning in gluey Aunt Jemima maple flavoured syrup. I didn't think French toast could be improved upon, until I met Sam. He showed me the trick to getting a soft, gooey inside, and a crisp delicious outside. Don't mix together the egg and milk, instead soak the bread in the milk first, then dip it in eggs and fry it. Heaven. Put the milk and the eggs into two SEPARATE shallow bowls. Whisk the eggs well. Heat a frying pan on medium high, and add a knob of butter. Dip the bread into the milk, letting it soak well. When the butter is bubbling, add the bread. Leave for about 2-3 minutes, or until the bottom is golden brown, then flip. Fry the other side until golden as well. Serve with lashings of maple syrup or use the topping below. 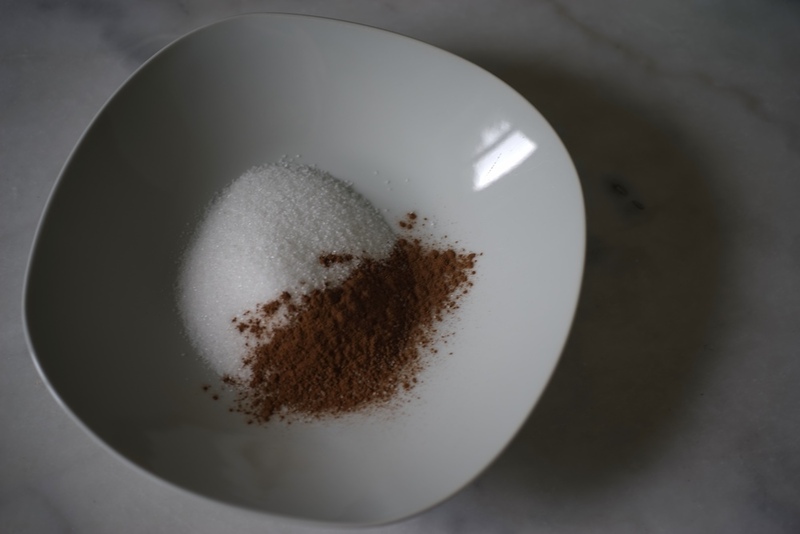 Fill a shallow bowl some sugar and give a generous sprinkling of cinnamon. Mix this together. Dip both sides of the freshly fried French toast into this mixture. Do this while they are still hot so the sugar sticks. It is imperative that you dip the bread into the milk first, then eggs. This is what makes an impossibly soft and silky middle. If you run out of milk, just add a little more, same with eggs. If the pan gets too hot and starts smoking, take it off the heat for a moment and wipe out the burnt butter with a paper towel. Keep your first batches warm on low in the oven while you wait to fry the rest.